We’ve given interviews, written op-eds, opened our homes and our lives to spread awareness for children with complex medical needs as widely as possible. 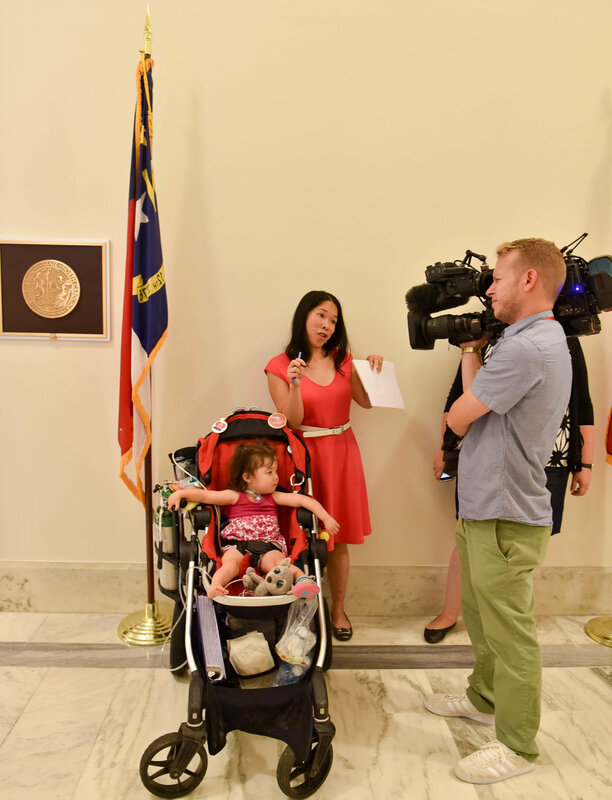 For media inquiries please email us at contact@littlelobbyists.org. The Lily (December 27, 2018) The ACA is in danger. The outcome is a matter of life and death for my 12-year-old daughter. Romper (December 9, 2018) PTSD Helps Parents Keep Their Medically Fragile Children Alive – But at What Cost? Vox (November 12, 2018) I took my 3-year-old to Congress to fight for health care. I feel like we won the midterms. The Washington Post (September 28, 2017) My Daughter Doesn’t Have ‘Special’ Needs. She’s Disabled.